I met Daniel 13 years ago when he was a boy. Now he’s 26. I'm very excited to announce that I'll be going back to Kenya in April to film Daniel's journey from "poacher's son" to conservationist and possibly even his first solo flight as an airborne wildlife guardian. My working title for the film is "Impossible Dream". 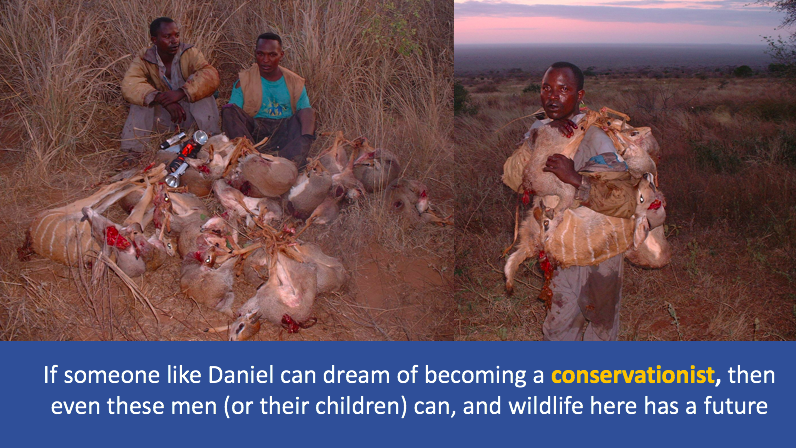 Daniel wants to become the first bush pilot from his community to fly over Tsavo protecting wild animals. When his father was killed by a buffalo 13 years ago, Daniel made the amazing decision to grow up protecting wild animals instead of killing them. He wants to encourage other people from his community to do the same. Daniel needs £6,700 to go to South Africa to get a pilot's licence. He has already attended Eldoret Aviation Training Institute and studied Aeronautical Engineering for three years . During his holidays and breaks, he would return home to Maungu and assist at the Wildlife Works hangar, servicing and repairing the anti-poaching aircraft. When time allowed, he would build his co-pilot hours. He also attended a Rotax Line Maintenance Training Course in 2014. All he needs now is 30 hours of pilot training and he'll have made the amazing transition from personal wildlife tragedy to conservation ambassador. The gyrocopter is an amazing new tool in the frontline of conservation, combing speed and fuel efficiency with short take-off and landing on rough strips, excellent all-round visibility and the ability to come to a virtual hover, becoming the eyes-in-the-sky directing ground crews in 4WD vehicles. 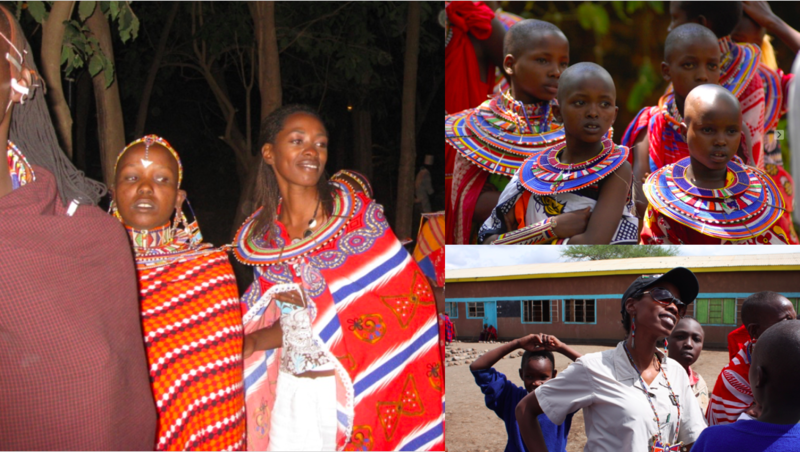 For an African boy from the dusty plains of Tsavo, I think this is an inspiring story. Here's your chance to help him on the final leg of this incredible journey. You can help direct how the story ends. Please donate and help Daniel fiy. I'm an environmentalist. Not in the sense that I'm an academic expert, but in that I'm concerned about our planet and especially the future of wildlife and the habitats that support them. I'm mid-way through a Masters in Wildlife Film-Making at UWE in Bristol. I live in Somerset and have volunteered for the Somerset Wildlife Trust on butterfly surveys and small mammal migration corridors in the Mendip Hills, and previously worked at the Soil Association in organic food certification. 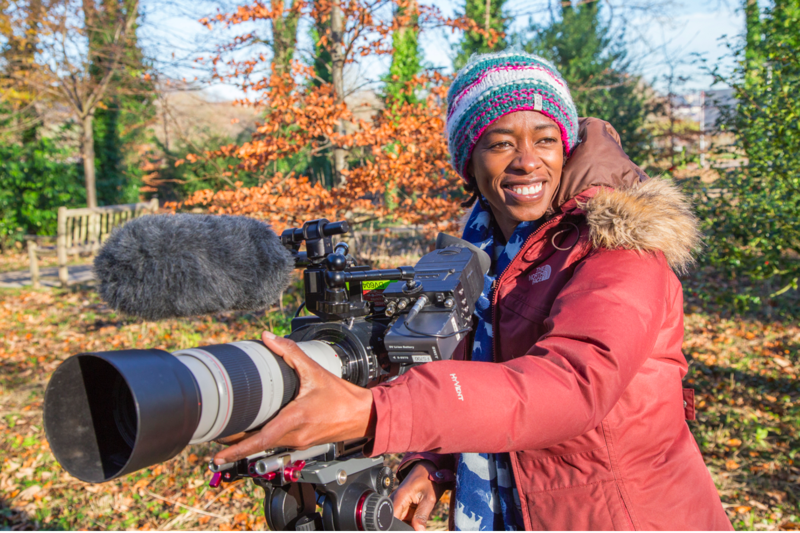 Originally from Kenya, I moved to the UK in 2010 after a 12 year career in wildlife conservation. Working for Wildlife Works and the Born Free Foundation, I came to see the importance not only of focussing on the species for their own sake, but also on conserving the habitats necessary for their survival. 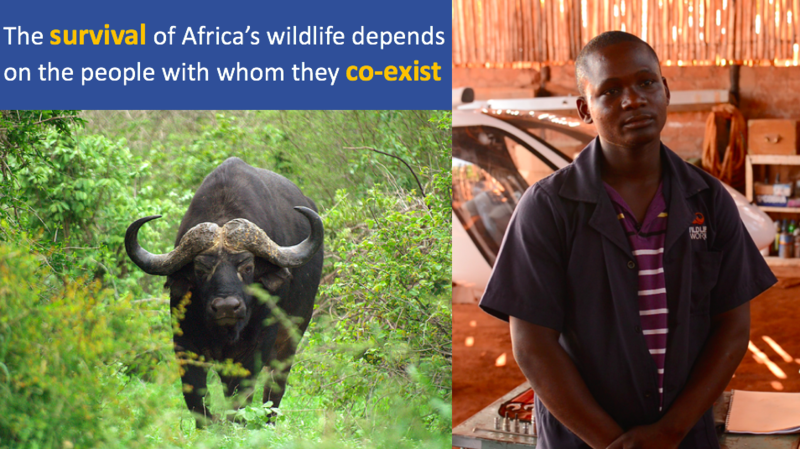 This led me to the overlooked area of human-wildlife conflict and the stories of the people who live with wildlife every day and must become the conservationists of the future. I've worked with communities involved in poaching, charcoal-burning, livestock grazing and the bushmeat trade to find ways to engage them in conservation, which is a challenging issue considering the high levels of poverty and reliance on consumptive utilisation as a source of food and income. The Masters course at UWE has helped me capture the essence of storytelling. I'm learning how big issues such as human-willdlife conflict can be communicated to the general public through personal narratives such as Daniel's. Every penny of the money raised will help Daniel fulfil his dream of flying. 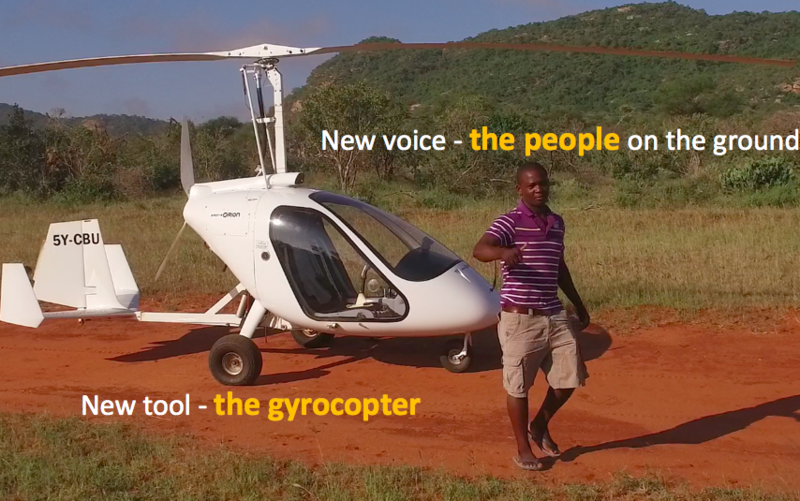 With a gyrocopter pilot's licence, Daniel will not only be able to make a real impact on aerial surveillance and wildlife protection around Tsavo, but will also be an inspiration to his community (not to mention being able to earn a better living for the extended family that depend upon him). It is important that you all know that I am running this campaign for Daniel for 6 weeks until April 15th 2017. All funds raised by that date will be transferred in a lumpsum to a secure holding account held by Daniel's sponsor in Kenya, Wildlife Works . This will apply even if we fall short of the target. In that event, Wildlife Works will set up a separate fund-raising page to secure the balance of the funds that Daniel will need. I have some rewards to thank everyone who donates, whatever the amount you might give. Check them out. You don't need to give money to help Daniel succeed! Please share this project with anyone you think will support him via Twitter, Facebook, LinkedIn, email, telephone, in a chat over the fence or on your blog. In fact, share it with everyone you know as we think this is a great opportunity, and the more people who know about it, the more likely we are to make this work out brilliantly.